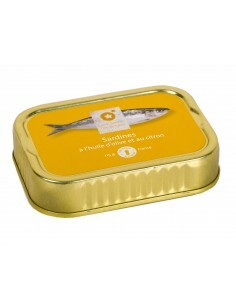 Sardinade is a mediterranean sardine based specialty. 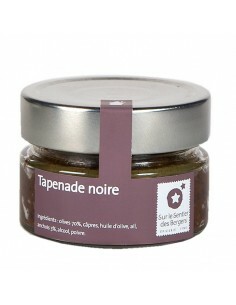 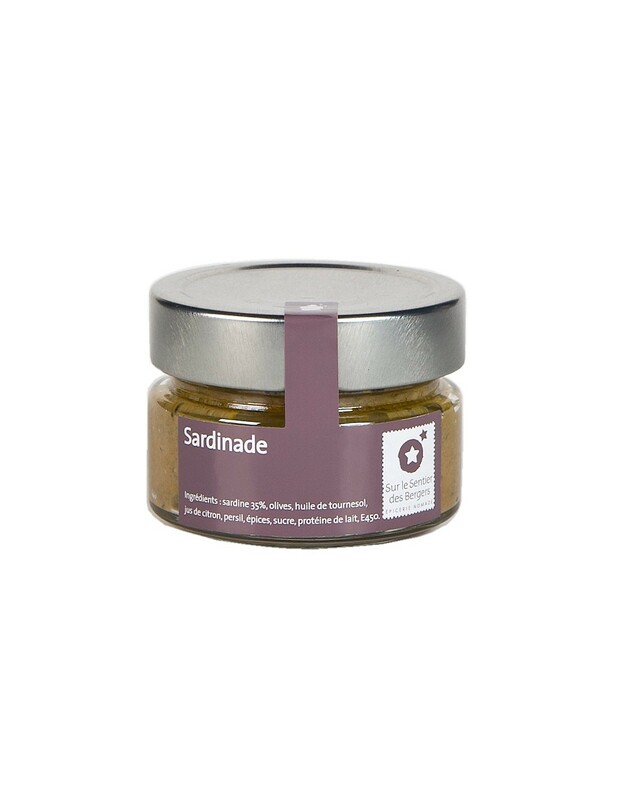 A delight to spread on breads or to use as a base of a quiche or savoury pie. 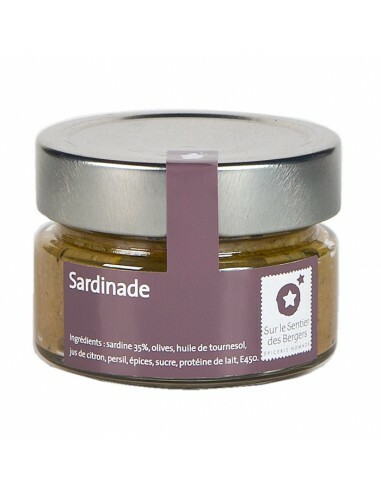 Sardines (35%), olives, sunflower oil, lemon juice, parsley, lactose, milk protein, stabilizers: E450, E452, E451.